Over at Just Us Girls today Sue V has challenged us to a great Technique. 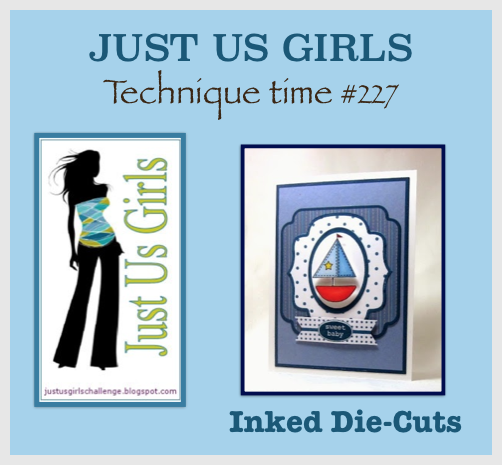 It’s called Inked Die Cuts and you can find a helpful video right HERE! your image or sentiment and give you a clean white/light border. I kept it clean and simple this week, but really enjoyed trying something new! I used a Colorbox pigment ink called Treasure to ink up my spellbinders oval die. The heart EF is from Stampin UP. The sentiment and arrow is from Michaels. Now here are the links to get you started! And don’t forget to visit Melissa….our Guest Designers blog too! 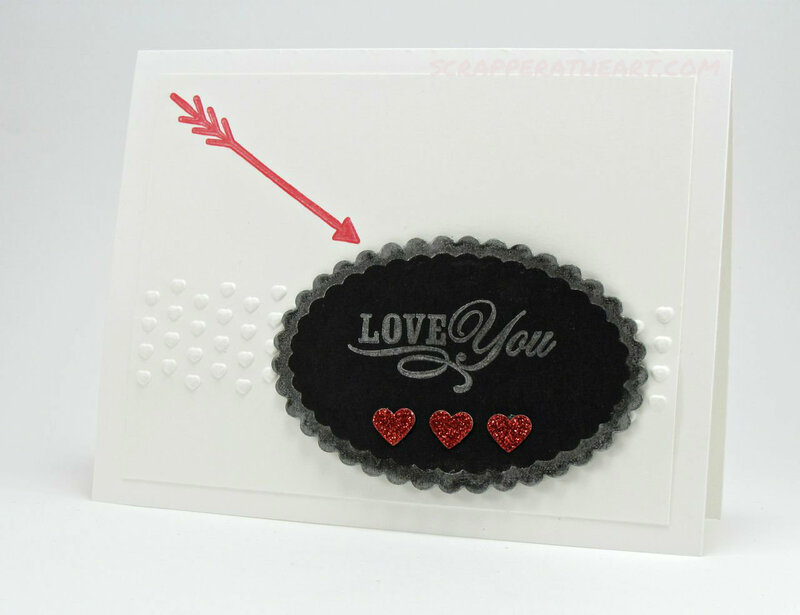 Categories: Cards | Tags: Card making, Cards, cuttlebug, Inked Die Cuts, love, love you, rubber stamps, stamping, Stamping Up, Valentines Day | Permalink. LOVE the embossed hearts and the die cut and red glittery hearts and arrow! FAB card, Nancy! What a beautiful card! and I love the inking too! Really makes it pop. Have a great week my friend! Love how you used black for the sentiment panel with the gold trim! Great embossing too! What a fun CAS Valentine card! Love the sparkles! You did a great job with the technique too! This card is a stunner. I love the silver edge you created with the technique! I love the results of the silver edge on the black! This CAS really pops. Great job with this trying technique! This is so pretty Nancy! I love the way you used the technique and that arrow is the perfect addition!